Air pollution is now recognised as a major critical global risk factor for disease. Increasing public awareness of air quality and the burden of disease caused by air pollution is an essential step in reducing air pollution and improving public health. Rediff Labs has taken the exposure of air pollution, burden due to air pollution and then disease due to air pollution in order to explain how India is affected by it and comparing it to global numbers. The measure of outdoor pollution is basically by the ambient fine particulate matter ie, air borne particles less than or equal to 2.5 micro metres in aerodynamic diameter or PM2.5. According to the State of Global Air report 2017, exposure to PM2.5 was the fifth highest ranking risk factor for death, responsible for 4.2 million deaths from heart disease and stroke, lung cancer , Chronic lung disease and other respiratory diseases. Rediff Labs took the average annual population weighed PM2.5 of India and compared it with the global numbers. India had experienced steepest increases in air pollution levels since 2010 and now has the highest PM2.5 concentration compared to global air pollution levels. Because of the exposure to PM2.5, the number of people affected is the burden. It is calculated by taking the number of deaths due to pollution in per lakh population. In the above chart, there is decrease in number of deaths for India but the number of people dying due to air pollution is high compared to the world numbers. One of the diseases due to air pollution is Asthma. Asthma is a common word in India and it is caused by both genetic and environmental factors which include air pollution. According to the World Health Organisation, asthma in India has continued to increase over the last decade. Prevalence of asthma refers to the total number of cases of asthma in a specified population at a designated time. In the charts, we have plotted the number of people affected by asthma in India for the given period of time. The number of males affected by asthma has increased in the age groups of 15-49 years, 50-69 years and 70+ years from 2010 to 2015. The number of females affected have increased in the age groups 5-14 years, 15- 49 years, 50- 69 years and 70+ years from 2010 to 2015. According to the report, globally in 2015, long term exposure to ambient PM2.5 contributed to 4.2 million deaths. From the data, we can also say that increase in the exposure to ambient PM2.5 can be one of the reasons for the increase in the prevalence of asthma in India. India and China had the highest absolute number of deaths attributable to PM2.5. Together, these two countries accounted for 52 per cent of the total global PM 2.5 attributable deaths. 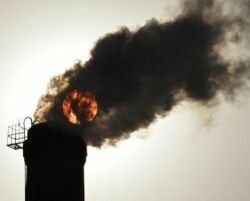 It’s time to save our life and earth from air pollution. Grow trees for cleaner air and lead a healthy life. Delhi is the world's most polluted megacity!